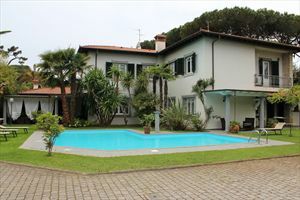 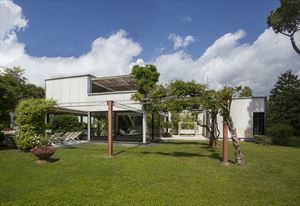 Single villa located in the prestigious area of ​​Imperial Rome in Forte dei Marmi, a few meters from the sea, with 7 bedrooms and 5 bathrooms large garden equipped with pool. 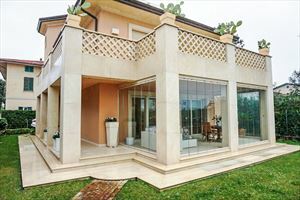 The villa has top confrot: air conditioning, satellite TV, internet WI-FI and private pool. 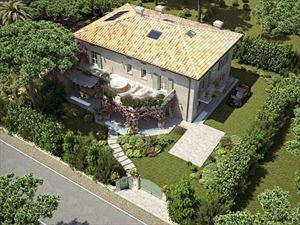 Ground floor: entrance hall, large space for dining room and kitchen. 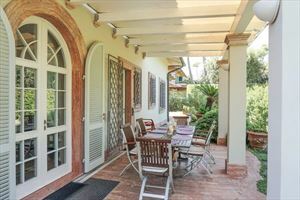 Two double bedrooms and two bathrooms, covered terrace of about 70 square meters equipped with option to dine outside. 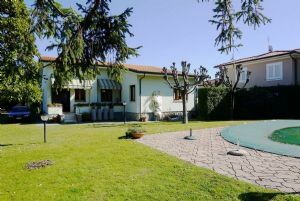 First floor: Triple room with another master bedroom with bathroom, another double room. 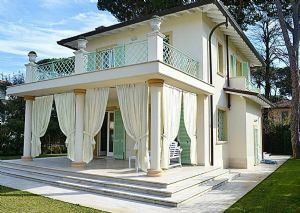 The villa has two additional rooms for staff with balcony of 16 sqm.